Send us a 90-second clip of a Day in the Life of your PR team and you may win a $500 AmEx gift card. While it’s possible to conduct business without ever meeting in-person with clients in certain cases, but we shouldn’t forget about the value of such interactions. 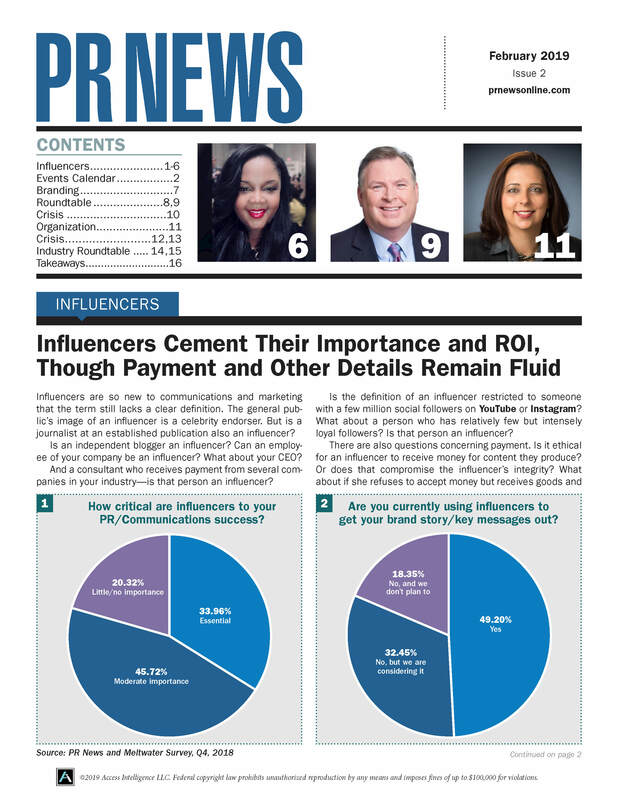 The financial performance of small and midsize PR agencies remains strong. Operating profit rose an average 17.3 percent in 2014, compared with 15.9 percent in 2013, according to an exclusive study conducted by Gould + Partners. PR practitioners are looking for ways to meld modern marketing tactics into their plans. And many are discovering that email marketing is one of the best crossover tools. Legacy brands face a unique challenge in maintaining relevancy in the digital age. Here is how one such company met and overcame that challenge. In the current economic climate, PR agencies have to make sure that they are able to deliver quality work to their clients—and then some. But even the best agencies are prone to trip up every now and again.